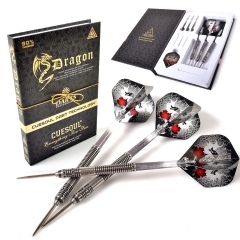 CUESOUL Dragon Fashionable Brass 21g Steel Tip Darts Set. 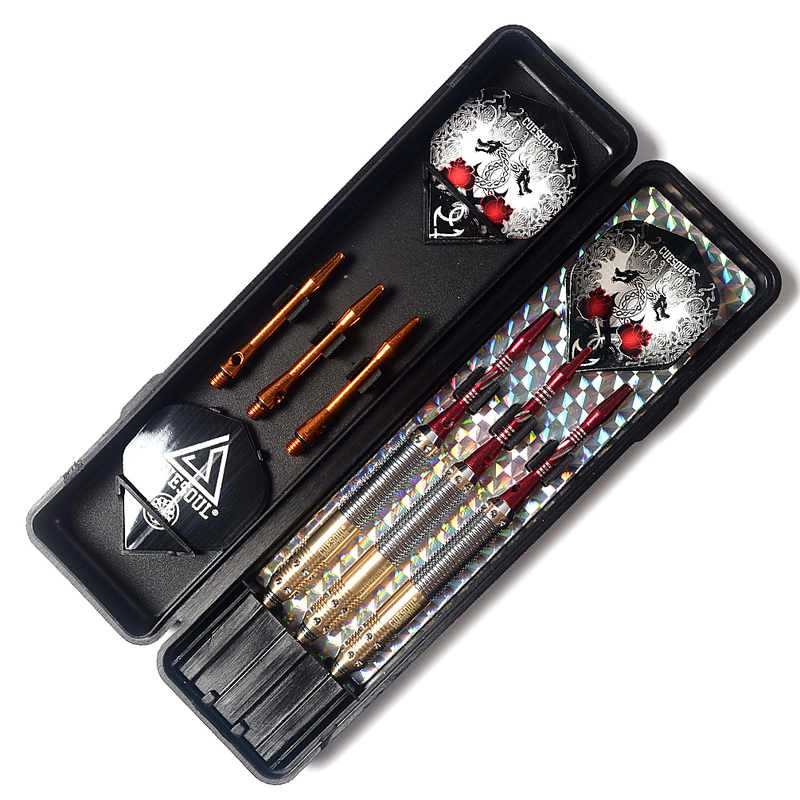 Pure quality brass barrels with cone drilled and chrome plated darts,create the shiny look and nice grip,which make it attractive and eyecatching .A great dart for primary dart player. 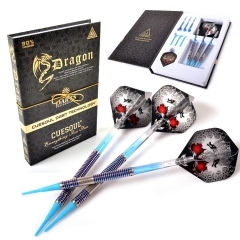 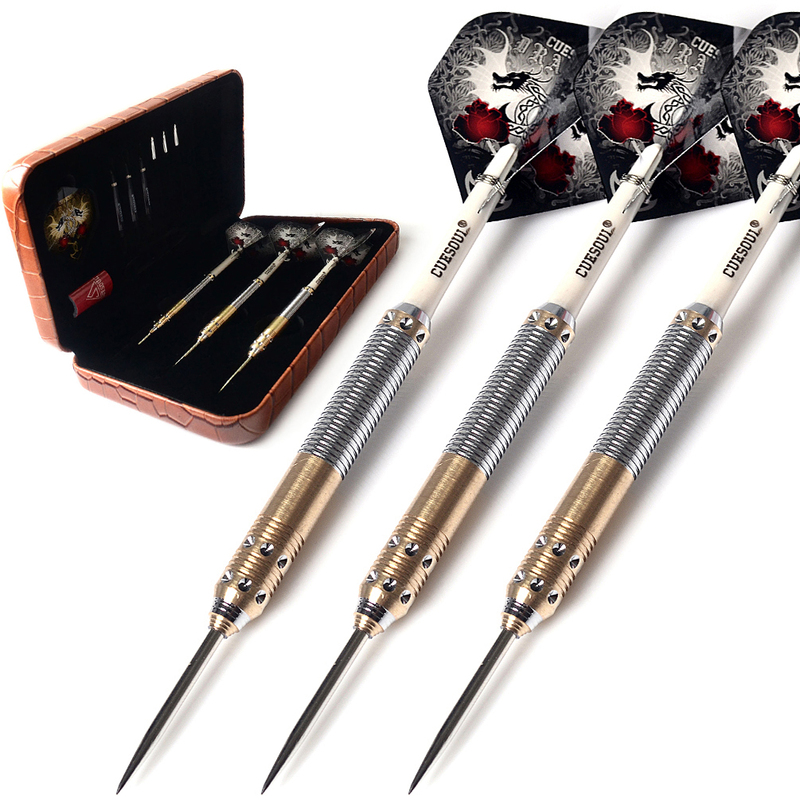 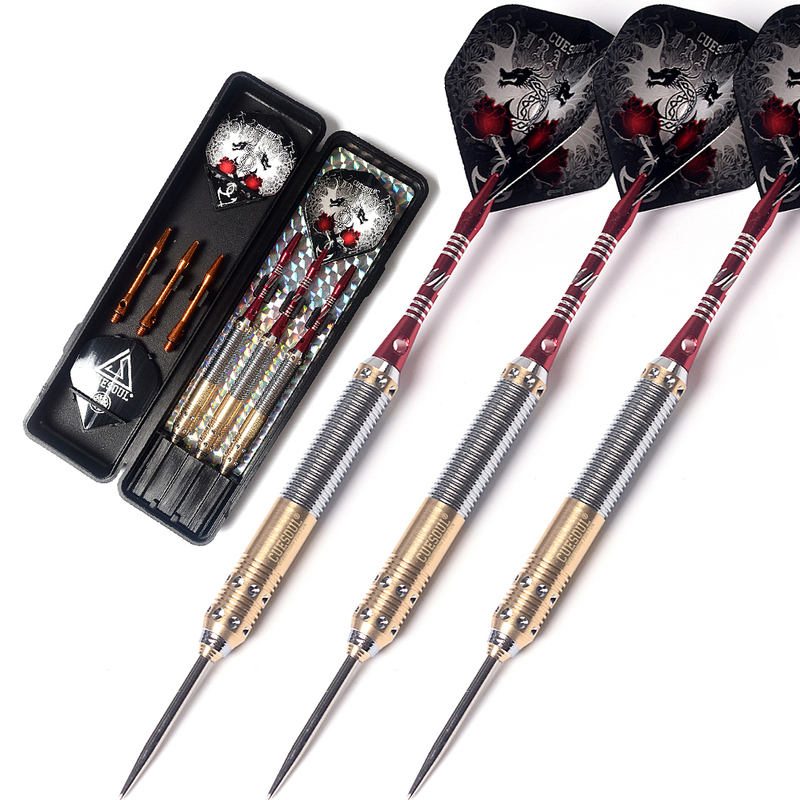 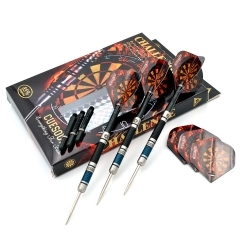 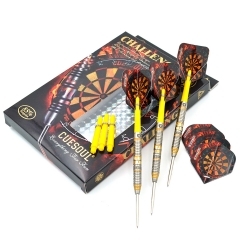 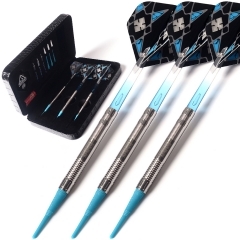 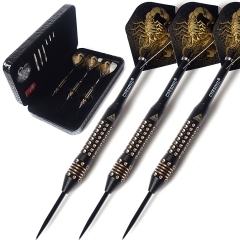 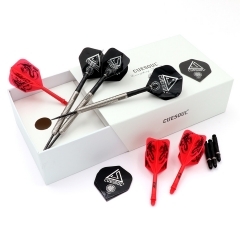 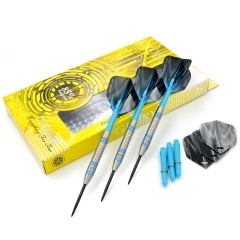 Deluxe Pack include 3 pcs CUESOUL Dragon 21g brass darts barrels with fashional design. 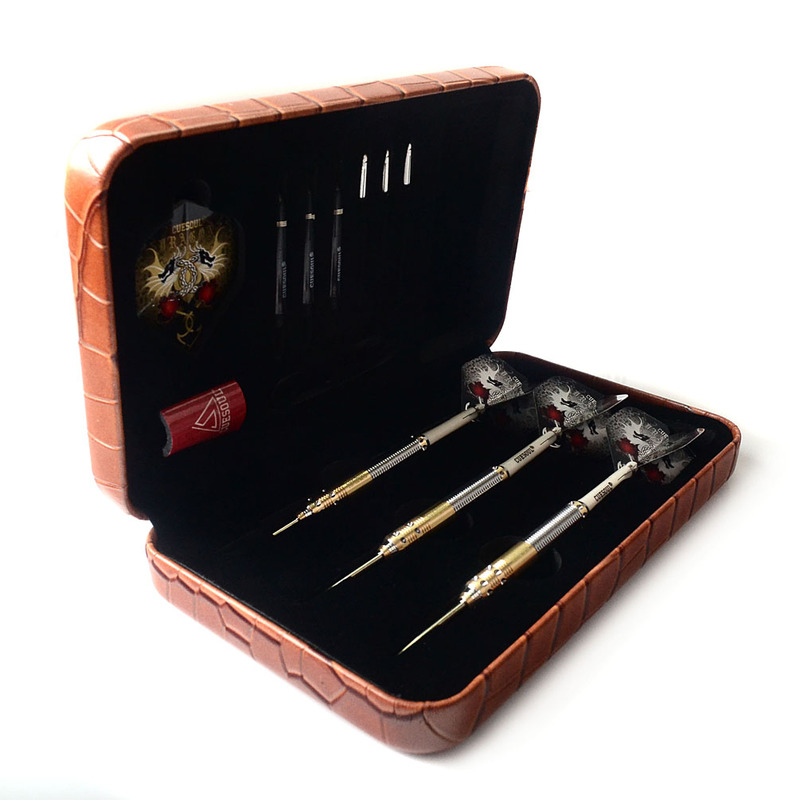 Completed with deluxe PU darts case,packing in color box. 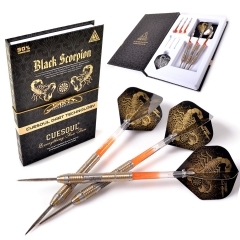 Completed with Color Insert and Clam Shell Pack.